What if I told you that you could jumpstart the healing process for certain ailments and drop pounds at the same time with something that is already very much a part of your life? Well you can. When I found out about this Health & Wellness regiment, I knew it was true. I had the privilege of living in Japan. And those two years in the Land of the Rising Sun were the impetus to receiving my Nutritional Counseling certification. Experiencing this culture and way of life, I knew there was some validity to what I am about to share. So what am I talking about today? I’m talking about Japanese Water Therapy. Now Healthy Curves Rock makes no medical claims, we just share information with amazing outcomes in hopes it would serve you on your health journey. The results of this process are borderline miraculous. It is important to note that the body of an adult woman is about 60% water. And three days without water can be fatal. In addition, most of our bodily functions are highly dependent on good ole H2O. 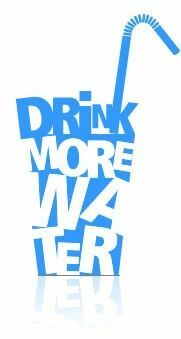 AND most do not consume enough water each day, leading to dehydration often showing up as a nagging headache. Next time, go for that water instead of that pill. What is Japanese Water Therapy? Japanese Water Therapy is a common practice in Asian medicine most noted for restoring gut health, reversing certain lifestyle diseases, and releasing weight. And for our purpose, it’s also a great scheduled approach to drinking your eight cups of water each day. Drink 4 cups of water upon rising on an empty stomach – room temperature water. Do not brush your teeth yet. Brush your teeth after you drink the water. Do not eat for at least 45 minutes. Continue about your day as you normally would with your eating schedule. However, you cannot eat for two hours after each meal. 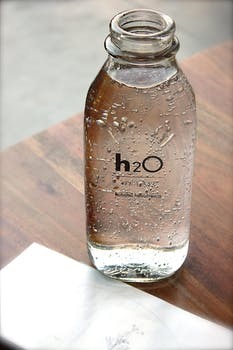 If you have a health situation that interferes with drinking this much water at one time or find it difficult to drink 4 cups of water upon rising, try to drink at least two cups or as much as you can and increase your intake daily until you reach your 4 cups upon rising. You can wait for a couple of minutes between drinking if you are unable consume all that water in one sitting. That’s what I do. The benefits are wonderful! They have been noted in this unexpected discovery. I have listed three here. 1. Gut Health Restorer – It cleans out the gastrointestinal track optimizing the flow if you know what I mean. Healthy digestion is key to good health. 2. Excess Weight Releaser – Water is an essential part of our metabolic process. It is the natural way since the beginning of time used to clean our system of anything it doesn’t need. That includes extra pounds. 3. Lifestyle Disease Slayer - Because toxins are being flushed from the system consistently, a healthy host (that’s you) is being created. And when we have a healthy body, it’s very hard for dis-ease to live in the same space. People have reported positive results regarding diabetes, acne, menstrual difficulties, hypertension, and arthritis to name a few. It is important to note that daily exercise is highly recommended for optimal results. As with any new regiment, you don’t want to overdo it. Too much of anything is not good. And too much water could lead to hyponatremia – when the sodium in one’s blood has been diluted. Also, results vary and are subject to user implementation. Understanding the benefits of water intake, this method is definitely worth a try. You have to drink your 8 glasses of water a day anyway. So why not?! Are you up for trying this Japanese Water Therapy? If you are, we would love for you to join Healthy Curves Rock 2018 Walk & Water Challenges this summer. We will begin in July and run 3 sessions during the summer. Last year’s Walk & Water Challenge was a complete success! The women were reaching their step goals, water goals and seeing and feeling results! We’re in the business of keeping those curves healthy ladies! And we’re here for all your health goals. Join Us!